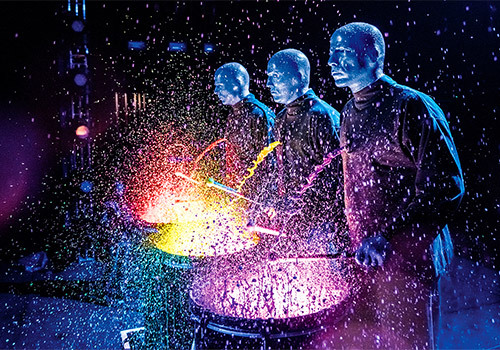 To say that the bald, brilliant, and hilarious Blue Man Group marches to the beat of their own drum is an understatement. This loud, bright, and over-the-top show filled with technology, sensory theatrics, comedy, music, and hijinks is the perfect form of entertainment for the entire family. 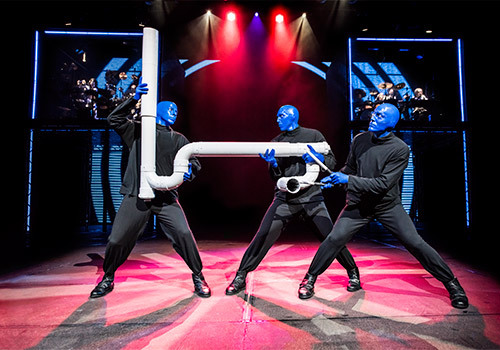 To truly understand the hype over the Blue Man Group, you have to see it for yourself! If seated in the poncho section, wear the poncho! You’ll need it. Children under 3 are not permitted into the theater. Children under the age of 9 must be accompanied by an adult at all times. Limited parking is available for $15.00. 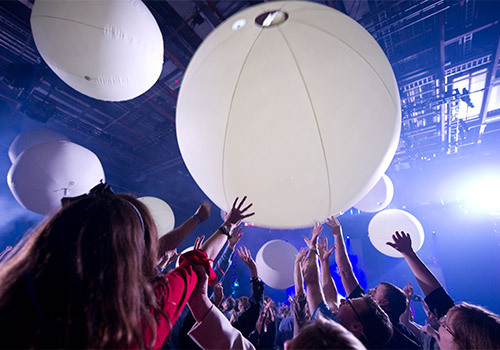 Strobe lights and other special performance effects are used throughout the performance. Noise levels reach that of a rock concert. Ear plugs are provided by the front of house staff upon request. The show is amazing with impressive musical performances, non-verbal humor, and interactive audience participation. 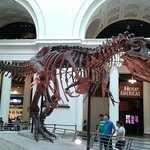 It is appropriate for all ages and a must see in Chicago. Don't be late! Limited Parking is available for $15.00 in our lot. We recommend that the patron arrive at least one half hour before curtain to ensure a spot. Children under 3 are not permitted in the theatre. All children must have a ticket. All children under 9 must be accompanied by an adult at all times. Blue Man Group has moments when it reaches noise levels of a rock concert. It is strongly encouraged that you use ear plugs on your child. Ear plugs can be provided to you at the theatre by our front of house staff. Strobes and water based haze are used in the show. Out of respect for other patrons unruly children may be asked to leave the theatre and will only be admitted back into the theatre at the Front of House Manager’s discretion. Maximum Quantity of tickets purchased per party is 9. Please contact the theatre directly for any groups of 10 or more. Orders under the same name for 10 or more purchased on this site will not be a valid reservation. WARNING! A STROBE LIGHT IS USED DURING THE PERFORMANCE AND MAY BE CONSIDERED HAZARDOUS TO CERTAIN PATRONS. We went to the matinee show to save a couple more dollars and leave our nights open for other shows/clubs. Blue Man Group was very entertaining & so funny! Love when the comedy comes across without them saying a word. The music was very cool too. Interactive show involved the audience, ending was amazing! Tip: Strobe lights used during show, multiple show times available. Using reserve direct was simple and easy! Took the headache out of planning events for our trip. "Blue Man Group is fantastic!" This was my second time seeing Blue Man Group. I went a few years ago in Vegas. The Chicago show is fantastic I love the Blue Man Group! 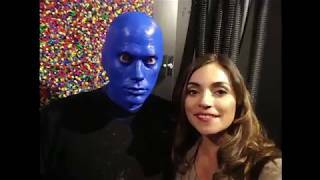 Their antics so unique, the whole family would enjoy it--- I highly recommend an evening out at Blue Man Group. I wouldn't want to sit in the front where the folks are wearing plastic to avoid getting splashed ...but those who would be okay with that --- more power to them. Sometimes the music was a little bit loud but other than that it was such a great show, so entertaining! Tip: Don't be late for the show! Also quite a few stairs so be careful. Everything went smoothly! No problems at all! Would use this service again! Tip: Easy to use service! when the big balls and streamers came down. Other than that I love the Blue Man Group. Started out kind of strange, but ended up being very entertaining. My whole family (including 3 college age kids) really enjoyed it. "I'm glad I saw it; wouldn't see it again." You know I've waited for years to the BMG. The opportunity presented itself while my boys and I were in Chicago over spring break. We were able to find some discounted tickets online. It's hard to entertain teenage boys. So I have twin boys who were split on the show. I had one boy who loves everything and he was a bit bored. I have another kid who is usually harder to please and he loved the experience. I think we all liked I'm just not sure we loved it as much as we would hope. I'm not exactly sure why that is. Would I go again, no. Am I glad I went once, yes. Enjoy the show if you choose to go...just don't hype it too much. "Not what it used to be, and that is not a good thing." I have attended several Blue Man Group performances in Boston, Las Vegas, and Chicago over the years. Chicago’s Briar Street Theater has been the repeat stop every few years whenever we have special guests in town, and even our family has enjoyed the freshened up program on a semi-regular basis. We recently attended a Saturday night performance as a family and with out-of-town guests, and as much as I hate to say it, I think that BMG has seen its better days. The actors are still talented percussionists, the band is good, and some of the old gags still get a laugh, but what was once an edgy performance that pushed the limits now seems tired. The old ‘Tubes’ program seemed much wittier and the fully decked-out theater made you feel that you were in an alternate universe for a short while. It is now largely sterile, and what was once a grand finale of strobe and black lights, spinning tubes, and huge streams of nearly endless toilet paper have given way to a super eco-friendly and far stripped down version. It had been a few years since we last attended, but this last time we were building up the end for our friends, and it fell vastly short. 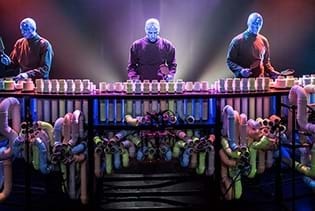 I have likely seen my last Blue Man Group performance, and if this recent show is any indication, then it seems quite likely that such may be the reality for all of us. Attendees that know no better still seem to rate it highly based upon the talent of the performance I suspect, but if they only knew how incredible it once was then they would be in my camp now. I just cannot see how the current version is sustainable or warrants repeat visits like the old shows. Again, it pains me to have to dump on something that has brought my family and I so much joy over the years, but occasionally things just run their course. I applaud freshening up the act, but the company has to remember what got them there in the first place as well. As for now, it seems like a program that the company is laboring to keep alive, but the scores of empty seats on a Saturday performance tell the tale. We had tickets many years ago, but got the show time wrong and always wanted to still see it. We were headed to Chicago to Hamilton and wanted something else to see. Well, it just didn’t meet the hype for us. Teens and adults were disappointed. We loved the show! They used percussion instruments mixed with comedy and other little acts. The upper level back up drummers were amazingly talented too. We sat in the “poncho” section near the front. Ponchos were included on the chairs, but I would say that we could have done without them. It’s a small theater and seats would have been good in most places. The blue men moved all around the theatre in an interactive way. We enjoyed sitting near the front though for the “surprise” at the end. Overall, fun, family show but I waited until my kids were in middle school to fully enjoy it. We arrived early and went through security. From pre-show until the very end was fun, funny, and exciting. We continued wondering what would come next through the entire show. We sat about halfway back in the auditorium so we didn't need ponchos, but the Blue Men wandered back to our area about 3 different times. It was awesome. See a separate review for the theater. 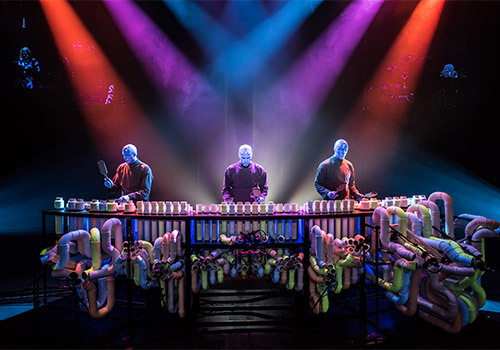 We would definitely see Blue Man Group again at any of their locations. It was a great time. The actual staff at the theater were not great. See a separate review for that on Briar Street Theater. 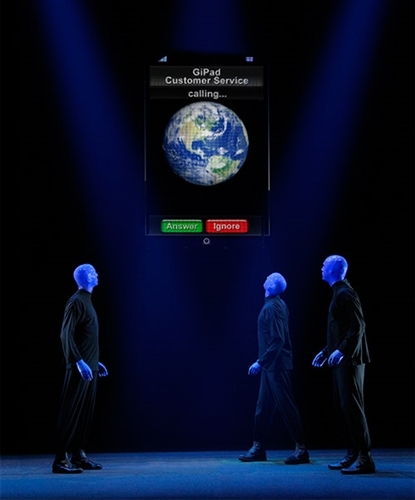 To continue the element of surprise surrounding the Blue Man Group shows, you’ll just have to find out! Is the show in English or using spoken word? You’ll find that the Blue Men do not have a particular language. Non-English speaking individuals or those with hearing impairments find the show to be extremely fun! *Box office hours are subject to change due to performance schedule. Will my toddler enjoy the show? Children under the age of three (3) are not allowed into the show. No matter the age, all guests must have a ticket to the show. Can I buy tickets for a group of 10 or more? Yes, but not on this site. You will need to contact the theater directly to book a reservation for 10 or more. Purchases for 10 or more seats will not be a valid purchase or honored on this site. The show runs approximately 90 to 105 minutes with no intermission. How early can I arrive to the theatre? 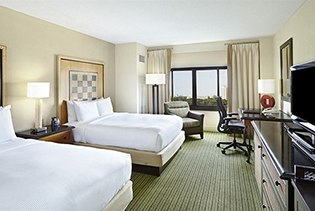 We recommend that guests arrive approximately 15 minutes prior to show time. Can I buy food and drink at the theatre? Yes. Concessions are sold and can be consumed throughout the show.